I am rarely caught completely off guard by a product these days. Sure, there are plenty of surprises and disappointments along the way, but to be shocked is a rarity. Tomoe River Paper shocked me. 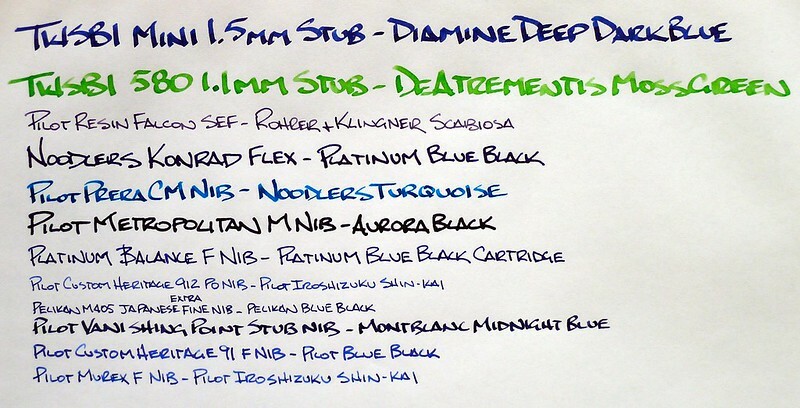 I heard many of my fountain pen friends sing the praises of this brand but I never dug in and learned more about it. Who knew how much I was missing. A kind reader emailed one day offering up samples (hi Rachael!) and before you know it they landed in my mailbox. Since I hadn't done any previous research on Tomoe River I was nothing short of stunned when I opened the envelope. Did you ever use tracing paper when you were a kid? That is essentially the look and feel of Tomoe River Paper. It is thin, transparent, and crinkles with ease if you are not careful. There is no way fountain pens will perform well on this paper, right? To begin with, Tomoe River Paper is very smooth when writing. Rhodia/Clairefontaine level smooth. No matter the size of the nib - from 1.5 mm stub nibs down to my Japanese EF nibs - they all glide across the page with no feedback at all. On top of that, there is no bleed or feathering. That is the real shocker to me. I'm not sure how a paper this thin manages that but it is the truth. As great as it is there are some downsides to consider. With the Rhodia-level smoothness also comes Rhodia-length dry time. Lefties beware. You also will not be able to use the back of the page either. Remember my tracing paper comparison? That's what the back of the page looks like. And like I mentioned before, it is fragile, crinkling with ease if you bump it around a lot. That said, I'm sold. The uniqueness and feel of the paper has me wanting more. Nanami Paper seems to be the main source at this time, and bookbinder Jesse Aston has journals available from time to time (reviewed here). Both sell blank Tomoe River Paper - where are my beloved grids? I may not be completely out of luck if I want to branch out a little. Did you hear me butcher the name Hobonichi in episode 54 of the podcast? What I was referring to is the Hobonichi Techo Planner, which uses gridded Tomoe River Paper. I'm not a planner guy, but this might make me change my mind (see how the Japanese use their Hobonichi Planners). If nothing else, it gives me hope I will be able to get gridded Tomoe River Paper in the future. 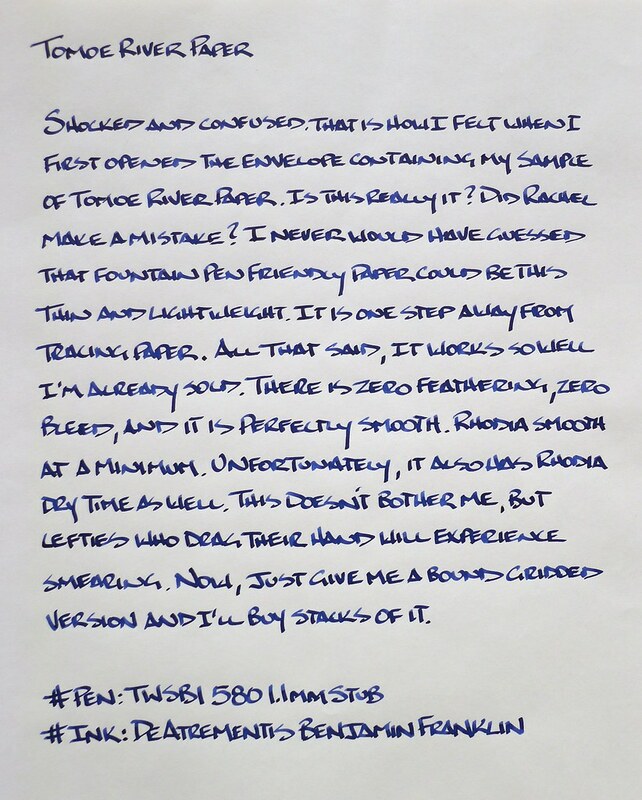 To read more about Tomoe River Paper and see many more ink samples and dry time tests check out Azizah's review at FPGeeks. Posted on June 3, 2013 by Brad Dowdy and filed under Tomoe River.